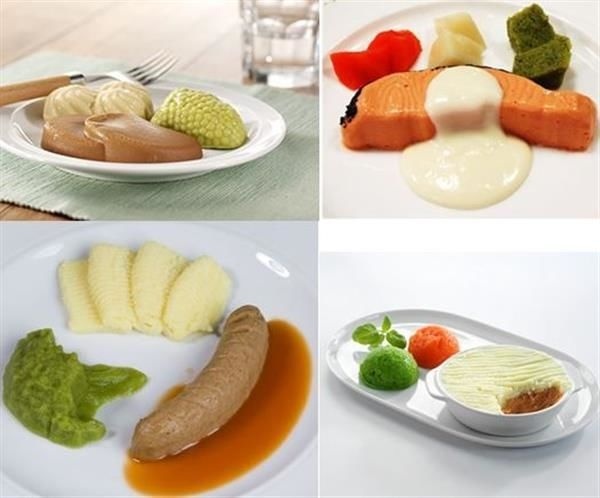 When you find it hard to chew and swallow, the food that exists today doesn't look very appetizing, explained Richard Asplund, head of the catering department at Halmstad municipality on the west coast. "So the idea is to make something more aesthetic to look at, to make it look good to eat by recreating the original form of the food." Halmstad municipality on the west coast is planning to use 3D printers to take purified broccoli and chicken, which is today served in dull circular or square slabs thickened with egg and starch, and then reshape it into florets and drumsticks. "It will look like a chicken leg, but you could compare the consistency to panna cotta," Asplund said. Evelina Höglund, the researcher coordinating the project at the state innovation body Rise, said the issue is a daily battle. "It's a big problem that people who get consistency adapted food get malnourished because they eat too little". Around 8 per cent of adults in Sweden have difficulties chewing or swallowing. Rise is working with the municipalities, the food providers Findus and Solina, the 3D printing companies Cellink and Addema, and researchers at Lund University and the University of Kristianstad. The first challenge, according to Ms Höglund, was to adapt 3D printers designed for the medical technology industry so that they are able to print hygienically and in sufficient quantities.